Shelli and Liz celebrate their HOH victory while Audrey breathes a sigh of relief that her allies are in power. Liz's alliance is totally unaware that she was the fourth vote to save Jeff, which she explains is because she never bonded with James so she didn't care. Good news is no one suspects her and assumes it was Becky, Steve, or Audrey. 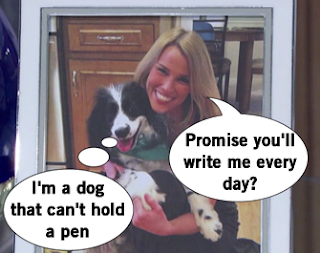 In Shelli news, she calls Clay "poopy head" and got a HOH letter from her dog. I always joke about this, but now I realize how lame it is. However, the dog is adorable. And the house has to pretend the letter and Shelli's musical theater group performance disaster is great because she's in power. The Sixth Sense begins to pow-wow over who to nominate and target this week. The guys want to protect Audrey since she's the other side's target, but the women worry that if they skates by again the house will begin to see she's a part of their alliance. Worried about her past connection with her Amazing Race partner Jeff, Jackie actually gets airtime playing the game and negotiate her safety. But Austin runs his mouth a little too fast, telling Jackie she could be a pawn, which really irritates the alliance and causes mistrust. To make sure Austin isn't the defacto HOH, Shelli wants to not get dethroned and takes on the role of nomination target Jason along with perpetual pawn Johnny Mac, who they want to throw the Battle of the Block. On Liz's side, she nominates Jackie and James, two people she has no real connection to. And after that, Liz and Julia switch and now Julia gets the HOH perks along with having to deal with Austin. Jackie and Liz actually have a conversation and while Jackie is not the target, Liz still doesn't like Jackie much. Johnny Mac privately celebrates being nominated four out of four times. 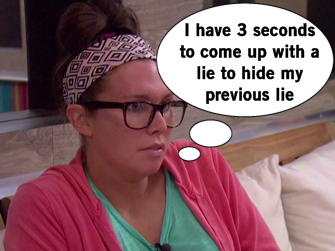 A quick conversation between Jason and Shelli shows Audrey's true colors and lies to manipulate her allies. When Audrey realizes Jason might know she caused his nomination, she tries to twist the story around on Shelli and claim she overheard the target story from Shelli herself. Shelli is livid that Audrey is stirring things up and wonders if maybe Audrey is the better candidate for elimination. Since it's 90s week, the Battle of the Block is grunge themed. 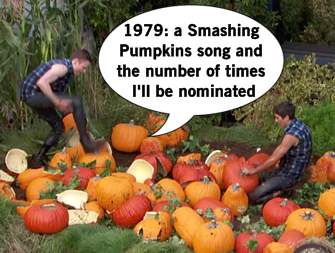 Wearing their best flannel shirts, the nominees have to search through Grunge Zones named after 90s alt bands for keys to unlock "Alice" in Chains. The players have to trudge through Mud Honey and swim through Pearl Jam, stomp on the Smashing Pumpkins, rifle through leaves of Screaming Trees, and Sound Garden. It's corny and clever at the same time. I don't know how to feel. 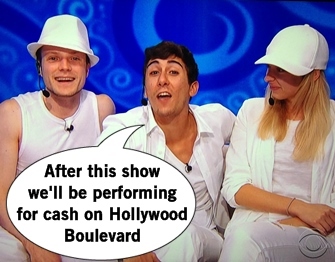 Anyways, James and Jackie win the Battle of the Block and it leaves Jason and John nominated. After the Battle of the Block, Audrey confides to James that she's upset at Shelli about the Jason nomination situation. James' instinct isn't to agree that a pair should be broken up, but instead to tell Shelli/Clay what he learned to get on their side. Shelli can't stand Audrey's constant paranoia, which is only validated when Clay talks to Audrey and she's concerned about being chosen as the replacement nominee, figuring she was the backdoor plan the whole time. 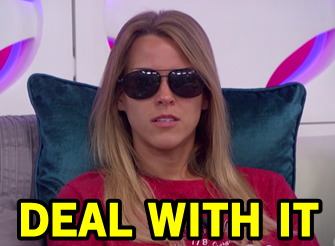 It might not always have been the plan, but it's quickly becoming Shelli's gameplan for the week since the house unanimously agree. But she's also torn because earlier in the game she swore loyalty til the end, crying in her big HOH bed that she could regret this choice down the line. Liz, Jason, and John receive all-white ensembles to become the Whackstreet Boys, their week-long punishment for losing the Battle of the Block. Whenever their pagers beep, it's time for the trio to perform and let's just say none have a chance at staying in LA to join a dance crew after this season ends. The house groupies die out over time, just like all the boybands. Go out in a blaze of glory, Whackstreet. The Saved by the Smell veto competition has everyone in their Bayside, I mean BB Side, High gear to pour colored chemicals that are scrolled on a screen. Bonus points for the "Time out!" Remind me to sneak in a few episodes of Saved by the Bell this week when I'm not watching feeds. Shelli, Jason, John, Meg, James, and Vanessa compete and no guys are Zach, just Screeches. I guess that Clay is Zack,,, sigh. The fun part is if the incorrect chemical is poured it'll explode in their faces - just like the episode where Screech invented Zit-Off! Vanessa's strategy is to remember the first letter of the colors shown to spell a word and this strategy leads to her veto win. Clay and Austin are just trying to bro out and exercise, but Audrey joins in to bring it to game talk. Clay wants her to stop being paranoid and doesn't feel the trust Shelli extends is fully reciprocated by Audrey. Clay catches her in a word-for-word lie that Audrey asked him to swear on his life that she wouldn't be backdoored, but Audrey denies it. Soon it's back up to the HOH, a crying Audrey bemoaning everything while her allies explain that she never trusts them. It's a group argument starting with Audrey and Clay, with Vanessa jumping in after. The group is straight-up tired of the lies, though sometimes Audrey tells the truth but officially the girl who cried wolf in the house. Audrey pulls her hoodie over her head and throws on sunglasses, serving some serious Unabomber realness, and declines to attend the Veto Ceremony. Vanessa uses the Power of Veto on Jason and Shelli names the absent Audrey as the replacement nominee. 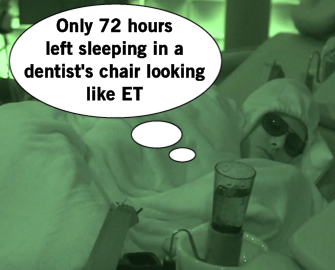 The Wednesday show completely omits that Audrey went to the Diary Room for 5.5 hours, delaying the ceremony, but the Thursday live show fills us in though never gives decent answers about what went on in there besides napping.. The house can't believe Audrey didn't show up to the Veto Ceremony, wondering if she'll try to skip eviction too. When Audrey isn't lying in the darkness of the Have Not room, she's lying on the Diary Room couch with the show. The house doesn't like her poor attitude of not being able to take eviction like a champ, but try to be nice. James even makes her an omelette eventhough she's a Have Not. But Audrey didn't quit, just moped around for the week and she's actually dressed up for her eviction. I was hoping the sunglasses and blanket would take her out the door. Before her inevitable eviction, there's a really nice video package from Audrey's family and the support she's had coming out as transgender. Though the family and friends are mixed on opinions about her gameplay. But viewers know Audrey started with a ton of potential and gamed too hard, too fast. In her goodbye speech, Audrey drops her social handle and is happy she got to share who she was without being judged, but knows this is a move the house has wanted for weeks. Audrey received one penalty vote for eating regular food while being a Have Not. The entire house votes for Audrey to be evicted except Austin, oh I'm sorry Judas, who throws a hinky vote. Julie interviews Audrey about her big role as the first transgender houseguest, but addresses her gameplay as a superfan of the show. At least the houseguests goodbye videos acknowledge how she game way too hard out of the gate. The "Pop Till You Drop" HOH competition is a head-to-head battle to identify the type of competition that occured based on a crappy pop song. James' strategy is to just wild guess before the horrible song even begins, which fails him in a final round against Jackie. Vanessa beats Jason, which means Jackie and Vanessa are the co-HOHs. The night wraps with Julie Chen talking to the alaways hilarious Britney Haynes of Big Brother 12 and 14, getting her take on the houseguests. It's nothing worth recapping. So we half hour of a power shift happening - maybe something good will happen this week?